Wondering which is the right notebook for your needs? We can help. Whether you're looking for a light and powerful laptop to take to work or school, or a beast of a gaming machine, we've rounded up the cream of the laptop crop below. We’ve got Chromebooks, Microsoft Windows machines, Apple MacBooks, ultraportable laptops and more. There’s something for everyone here. If you want to cut straight to the chase and get a top-notch notebook, hit the link below. Otherwise, read on see discover the laptops that we recommend based on their intended use or how much you want to spend. Buying the correct laptop for you can be a tricky business as there are so many options and, if you are not careful, you can spend a fortune on a system that you'll never properly make the most of. You should buy the correct laptop for your personal intended usage scenarios. For example, if you just need a system to simply work on, check emails and browse the internet, then a Chromebook or entry-level laptop could be ideal for you. Equally, if you need something that can act as both a laptop and tablet then you should consider a 2-in-1. Naturally, if you are fond of playing the odd game then you should consider a gaming laptop. What should I look out for when buying a laptop? There are plenty of things you should be looking for when buying a laptop, and especially so if you are spending serious money. First and foremost is its internal hardware specification. Obviously, you should ascertain the basics like processor model and speed, RAM quantity and speed, graphics chip type (internal or dedicated card), and storage space (SSD or HDD? ), but also make sure that you don't forget about the not-so-obvious things like battery capacity and lifespan, too. Naturally, screen resolution, contrast and panel tech (LCD, HDR, touchscreen?) should also be high on your to-find-out list as, for example, you don't want to buy a system that is underpowered for the screen it comes with, and equally it is less than optimal to have a very powerful system that is let down by a poor quality screen. Build quality of the actual laptop itself is super important, as you don't want something that is going to break on you quickly, or feel like a hotplate on your lap. Also discover what sort of keyboard, trackpad and ports the laptop has - ideally you want a mechanical keyboard, however they tend to be the preserve of the high-end. A good trackpad on the other hand is a must, as you'll be surprised how many times you won't have the room to whip a mouse out. With ports, look out for things like USB type and quantity, is there a HDMI port, how does the system charge, and is there a built-in SD card reader. Not all people will need all these features. However, we here at T3.com feel that you should look to get a laptop with a good balance of functionality and features for your intended usage scenarios, so by evaluating a system holistically you can make sure you don't end up with a laptop with a crippling, overlooked weakness. Welcome to our guide to the top ultraportables and the best ultrabooks 2018. Our favourite ultraportable laptop right now is the HP Spectre 13. The epic HP Spectre 13 is just an awesome experience that boasts both muscle and feather-like lightness. Its powerful specs are mightily impressive, too (there's a rapid Core i7 under the hood) and 256GB SSD, too. As we've said below, it really does feel like a laptop from the future. We love it and so will you. Whether you're looking for a lithe and luxurious 2-in-1 to take on the move, or are hunting down a convertible laptop to double up as a makeshift telly, we've picked out the best options out there. So what's the best 2-in-1 laptop? Our current favourite is the Surface Pro 4. It's an exceptional PC for the money and is extremely portable, too. That's why it's our favourite. However, there's been a dump truck-load of great 2-in-1 systems launched over the past 12 months, so if you're not into the Surface Pro 4 then there are plenty of other options to peruse. When the Chromebook arrived a few years back it wasn't so much with a bang but with some confusion. That’s now gone. Google's Chrome OS may be essentially the Chrome browser, but it too has been improved and is very usable. For many, its simplicity compared to Windows and Mac OS is a real boon and Chromebooks are great laptops for school, university and those who are quite happy just using the web and Google Docs, Sheets, Slides and more. Off to college, university or going back to school? Need a laptop? Then look no further than this list. We're here to guide you through the process of selecting the very best laptop for school, college or university that's great for studying (and a bit of play as well, of course). Our best student laptop of the moment is the fantastic Acer Chromebook 15, although it is very closely followed by the Apple MacBook Air 13-inch. For loads more great options at a variety of price points then head on over to our dedicated best student laptop buying guide now. For us, these are the top sub-£1,000 laptops on the market at the moment. 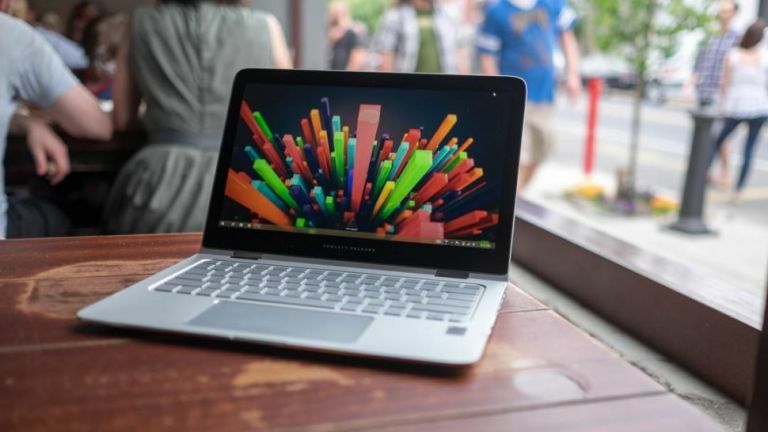 We've deliberately chosen a selection of different types of laptop below — from Macs to ultrabooks and hybrids. Now it's your turn to choose how to spend your money. We think the best gaming laptop on the market today is the Asus ROG Zephyrus. It is amazingly thin and light, remarkably quiet, and - most importantly - lightning fast, packing an outrageously powerful Nvidia GeForce GTX 1080 graphics card into its premium casing. It's unashamedly expensive in terms of price point, but it is simply the best gaming laptop you can buy right now, and to get the best you have to pay for it. If, however, you are shopping on a more modest budget then we've also got some awesome recommendations at lower price points too, including systems from Acer, Alienware, Aorus and more.